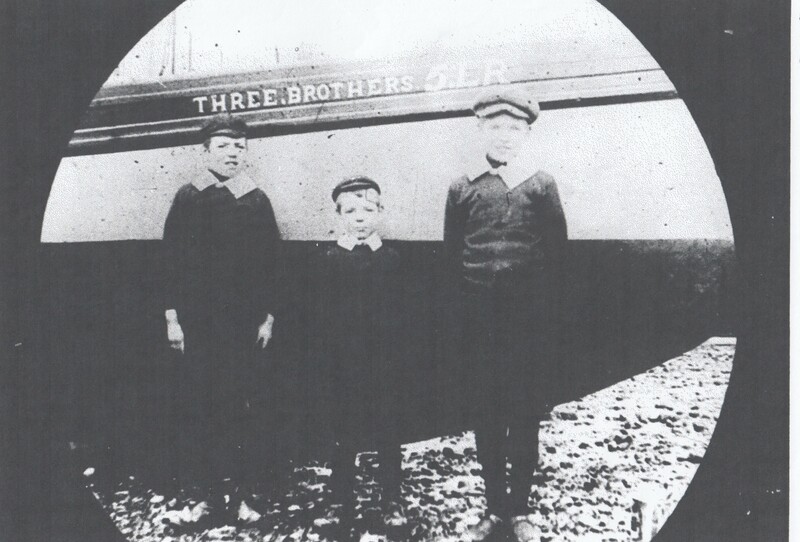 Launch of a new shrimp boat “The Three Brothers”. Registered at Lancaster as LR 5, at Crossfield’s boatyard at Arnside, 1907. She was built for David Willacy and was named after three of his sons, Reuben, Amos and Gilbert.